If you are one of those racing fanatics, you must already be aware of the concept of super cars. Being a symbol of wealth and excellence, the modern day supercars have left every automobile enthusiast stunned. To call these high-speed beauties just cars would be an insult to their flamboyance and luxury. These exotic automobiles zooming down the roads are enough to make every one sigh. Speed, beauty, sleekness, elegance and quality all packed into one exciting package is what supercars are all about. So, if your pockets are deep and you are a supercar connoisseur desperate to look at the rarest and most exotic supercars in 2018, we have just the right list compiled for you. As of 2018 the following cars have made it to the top in terms of all specifications. The first exotic supercar on this list is the Lamborghini Veneno. Now this bad boy is not unknown to anyone. Manufactured by the Italian brand Lamborghini which needs no introduction, the Veneno was first launched in 2013 and, after 5 years, it still retains a spot on the exotic rare car list due to its uncountable features. As for its capability, it comes equipped with a 750-horsepower 6.5-litre V12 engine. Besides, it can get up to 220 mph of max speed while requiring only 2.8 seconds to get from 0 to 60 mph. The car is stunning to look at with every aspect of its physical structure being just perfect. Priced at a whopping $4000000, Veneno delivers everything it promises and even more. In 2013, this beauty by Hennessey was a Guinness World record holder for being the fastest car to have ever hit the roads. It boasts of a 427 cu in (7.0 L) Twin-turbocharged LSX V8 engine. The high-performance sports car has been manufactured in Texas and it really is one of the rarest exotic cars beating others of a spot in this list. Having a Lotus Exige chassis with a beautiful make, this exotic car is classy and speedy which goes without saying. It can accelerate up to an astonishing 270.49 mph. The Hennesey Venom GT is priced at a staggering 1.2 million dollar making it a rare exotic supercar. Manufactured by the Koenigsegg Automotive AB, this incredible production has been making waves in the world of supercars since its release in 2015. Only six of these rare cars were created and it really looks powerful, imposing, sleek and fast. Bolstering with an impressive horsepower of 1340 hp, Koenigsegg One 1 is actually a deal at 2 million dollars for all that it delivers. McLaren 720S tops this list as it accelerates faster, laps quicker, and stops harder leaving all its competitors far behind. This 710bhp super car really is a close match to any contemporary hypercar than its mid-engined counterparts. It comes with a twin-turbocharged 4.0 Liter V8 engine that really lends it all the power, sharpness, and increased fuel efficiency. Priced at a whopping $285000, the 720S is actually faster, lighter, and more dynamically capable as compared to its predecessors. Debuting in 2013, this exotic beauty became a part of the holy trinity of supercars and actually took the world by storm. It comes from the house of Ferrari, the pioneer in the industry when it comes to exotic supercars. Laferrari’s kinetic Energy recover system is a very special feature that has been modelled after the Ferrari F1 race cars making it sleek and incredibly fast. Its specifications are cutting edge and one of a kind that will you salivating. As for the price, you can buy it at an impressive 1.5 million dollars. Wherever there is any mention of supercars, you are sure to find Lamborghini Sesto Elemento there. The title “Sesto Elemento” actually means ‘the sixth element’ which actually points to the sixth element of the periodic table, Carbon. This signifies the car being a light weight carbon fiber supercar. 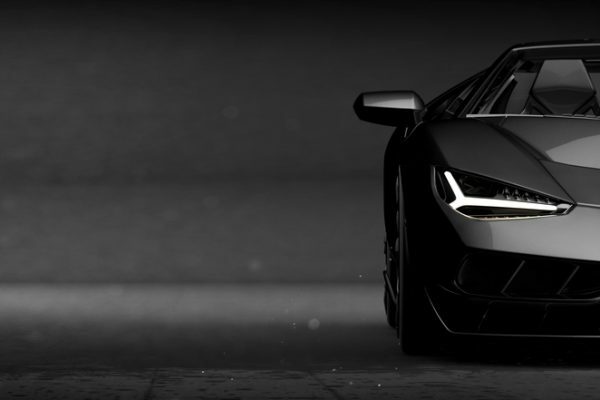 The Lamborghini Sesto Elemento uses FSI V10 570-horsepower engine which makes it speedy and smooth. As for speed, the Sesto Elemento easily exceeds 210 mph. It is priced between $2.2 million to $2.9 million. In terms of supercars, Pagani just doesn’t go wrong. Launched in 2014, the Pagani Zonda Revolucion boasts a subtle, impressive and powerful design. The automobile comes equipped with a lot of features similar to F1 cars. Its performance is impeccable with incredible aerodynamics and it boasts of a Mercedes-Benz AMG 6.0-liter V-12 engine which is equipped with 800 horsepower. The Zonda Revolucion also comes equipped with a Drag Reduction System for optimal performance. In terms of speed, it can surpass 217 mph. It is priced at $2,900,000 which really is great considering that impeccable list of features that come along. Who hasn’t heard of this one? One of the most popular exotic supercars, the Bugatti veyron is a prime example of class, elegance and excellence to have been ever featured in a car. This luxurious automobile boasts a top speed of 253 mph which is extremely impressive. The price tag on this one reads 1.5 million dollars so you know they aren’t messing around. It has also been recognized by the Guinness Book of World records for being the fastest street-legal car. Coming equipped with twin charged 6.8-litre V8 engine that boasts of a 1,104 horsepower, what else can you expect from a supercar? A lot! The speed and acceleration on this one are absolutely amazing and the max speed reached is 233 mph. It is priced at a shocking $1,800,000 which goes to show its rarity. No list of exotic supercars is complete without the mention of this bad boy and so we have it here. So, whether you just wanted to add to your information about supercars, or you are actually planning to buy one for satisfying your racing craze, these super cars are going to rock the world in 2018. If you are rich enough to own one, it’s time you throw the cash out and add one to your property.